The centrepiece of this show is Kirkpatrick’s Peacock-produced short film, which gives the exhibition its name. Additional works, including the artist’s 2003 Zenomap project photographs, provide a preface of sorts to the primary theme of the film: the two types of ecological economy put forward by Kenneth Boulding in 1965. The first type, ‘cowboy’, is described by Boulding as ‘symbolic of the illimitable plains and associated with reckless, exploitative, romantic, and violent behavior’. The ‘spaceman’, on the other hand, prudently recognises ‘the earth as a single spaceship, without unlimited reservoirs of anything, either for extraction or for pollution’. 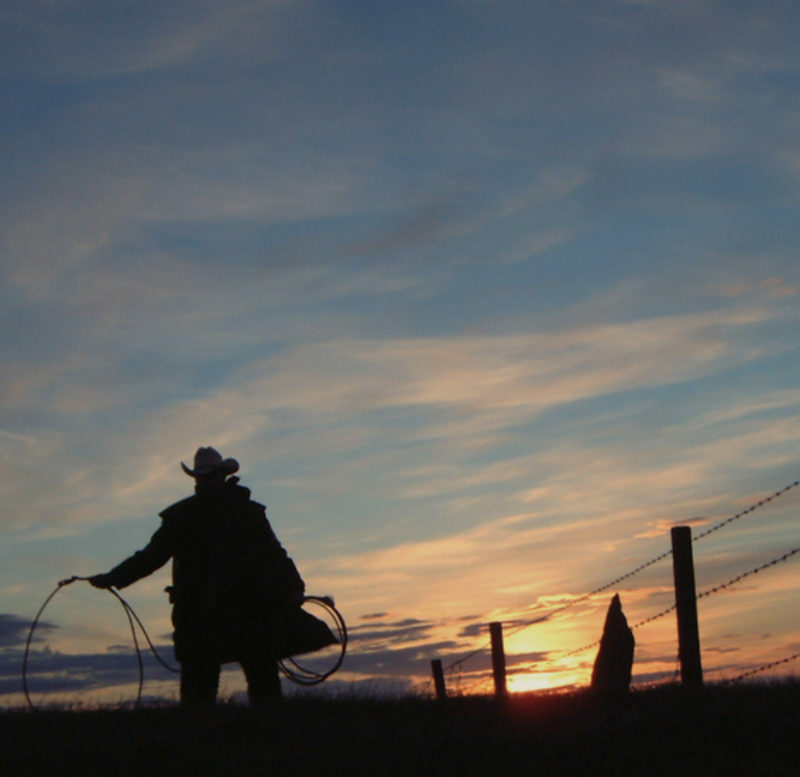 The film gently narrates the falling to earth of an off-radar NASA spaceman, following his journey to a chance meeting with a cowboy who is searching the Orkney prairies for an absconded horse. Encountering the dethroned cowboy at nightfall, the similarly grounded spaceman is treated hospitably, and a game of cards breaks out in the cowboy’s tent. The narrator concludes shortly thereafter by asking how many hands of cards two such players might play before our fragile and finite world hits the eco-crisis Boulding predicted—if indeed that crisis is still pending. Intriguingly, the narration is in the language of the North American Indian tribe, Cree, with English to the subtitles. On first hearing, you might be forgiven for mistaking it for Gaelic. Kirkpatrick knowingly and humorously plays the viewer’s expectations here, illuminating blind spots in Scottish self-awareness while simultaneously paying due respect to the transatlantic genealogy of Orkney. In fact the influence of Orcadians over the ages on Canadian culture in particular has proven that the islanders do not conform to the stereotype of narrow-mindedness perhaps imagined by those bemoaning the inconvenience of having to read subtitles. Kirkpatrick, himself a thoroughbred Orcadian, applies his intimate knowledge of local geography—and his filmogenic profile—to good cinematic effect. 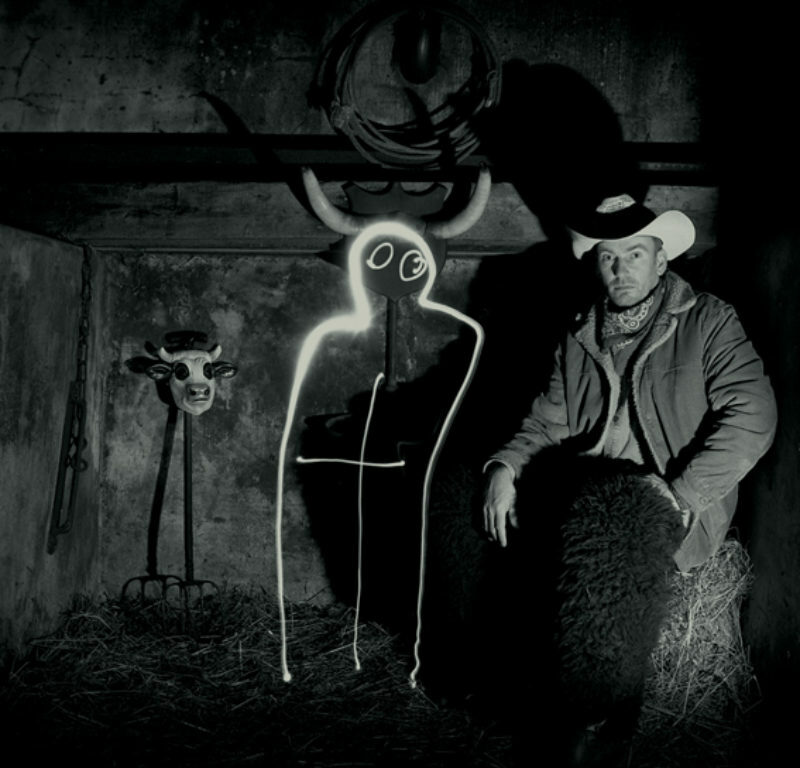 The artist has directed a Westernstyle, panoramic short which successfully transports the viewer to Orkney by way of Wyoming. He is ably supported by Peacock’s Adam Proctor in the edit and also by Ziggy Campbell, whose Ry Cooder-esque audio mix greatly enhances the visuals. The film is more than a pious dramatisation of Boulding’s scenarios. Extra significance derives from Kirkpatrick’s running references to the cultural particularities of (male) Orcadians, coupled with his on-screen personification of both Boulding’s economic models. The artist is clear that the islander has an acute sense of the need for ecological sustainability, only to be won in partnership with nature. But the local version of this symbiosis, we discover, is shot through with a romantic and hard-bitten machismo, geography having convinced Orcadians that they must be on the frontier of something: the fisherman is cowboy of the seas, the farmer is flinty rancher. This duality is captured neatly in one of the supporting works, ‘Buffalo Hunter’, a two-part photograph showing a herd of buffalo on one side and a craggy fisherman on the other. This cowboy/seafarer double identity functions as a keystone for the film and a confessional for the artist. He flirts with his own encultured admiration for male types as likely to be seen perched on the horizon in a John Ford film as at the wheel of an Orkney fishing vessel. Often with his tongue in his cheek, he exposes the composite nature of his local heroes, the presence of two minds within one frame. So the meeting of the cowboy and the spaceman is a filmic confrontation not just of two theses but of different parts of one man. Kirkpatrick succeeds in making art of this theme over and above the Orkney context: it is the individual’s inner ethical economy that hosts the debate between the two outlooks. The proximity of both within an individual, the artist hopes, mitigates against antagonism to provide the possibility of debate and perhaps a change of heart. If Kirkpatrick, as a true Orcadian, is a spaceman with a Stetson under his bed, we on the frontier of complacency might be encouraged to rally our spaceman alter ego for at least a game of chance.